An all-in-one event management platform, capable of handling events of any type or scale. 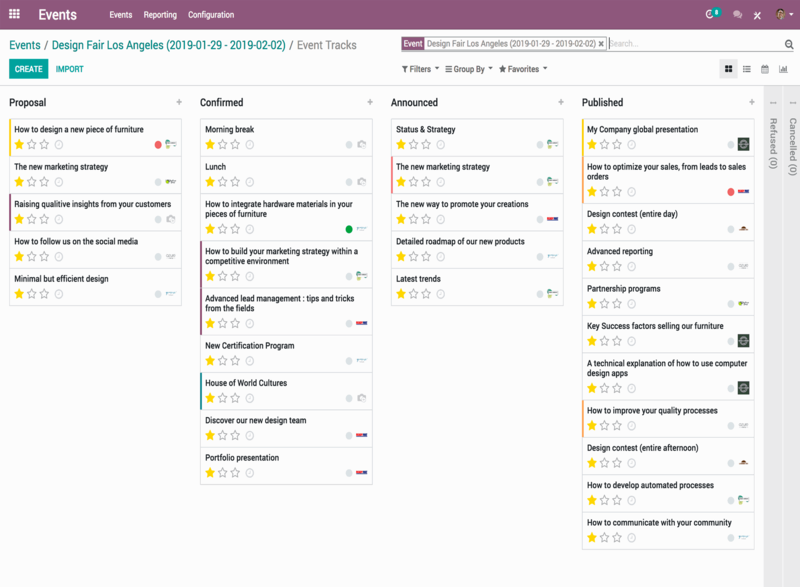 Odoo Events covers all aspects of an Event Planner's job from event organization and ticket sales to visibility and promotion. Coordinate your event content with ease. Automate the registration and payment process. Sell event sponsorship and promote your partners. 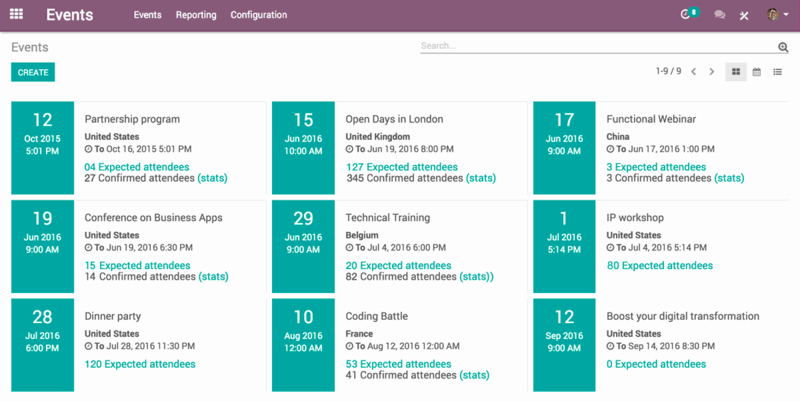 Easily manage existing and new sponsors with Odoo Events. Add sponsors to your events and publish sponsors in order based on the level of sponsorship they purchase on the bottom of every page of the event. 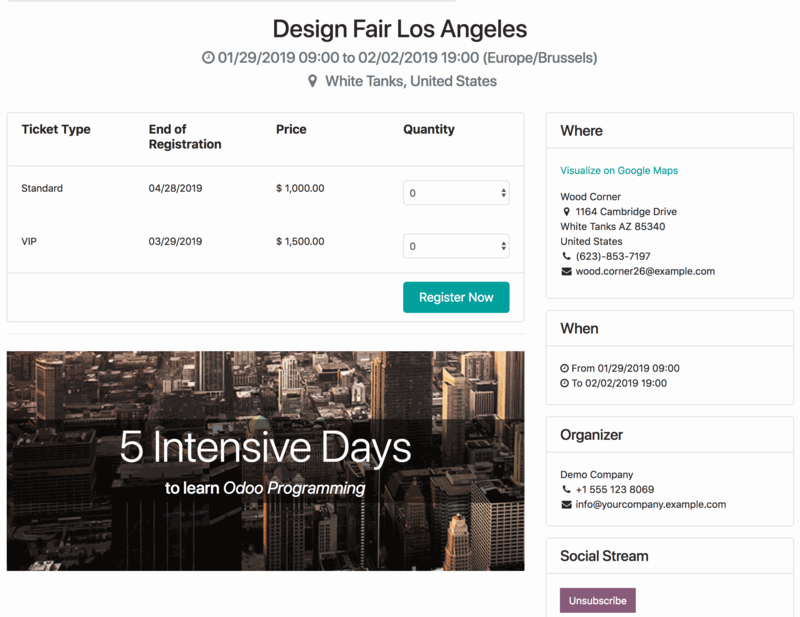 Sell sponsorship packages online through Odoo eCommerce. Promote events efficiently on all channels. Segment your audience and leverage social media and email marketing to promote your events to the right audience. Setup automated campaigns for all attendees or personalized content to specific registrant types or segments. Optimize conversions with ad-hoc landing pages for your different marketing campaigns. Monitor your event analytics every step of the way. Odoo's integration with Google Analytics is automatically configured to track any type of event via online cart and check out, call-to-actions, etc. Each of the Odoo marketing tools is also linked with Google Analytics in order to provide you with a full 360° view of your business. Increase visibility and attract more attendees. Ready-to-use SEO tools are available directly in Odoo with no configuration required. Keyword suggestion based on the most searched terms on Google allowing you to tactfully structure your content and promote your events. 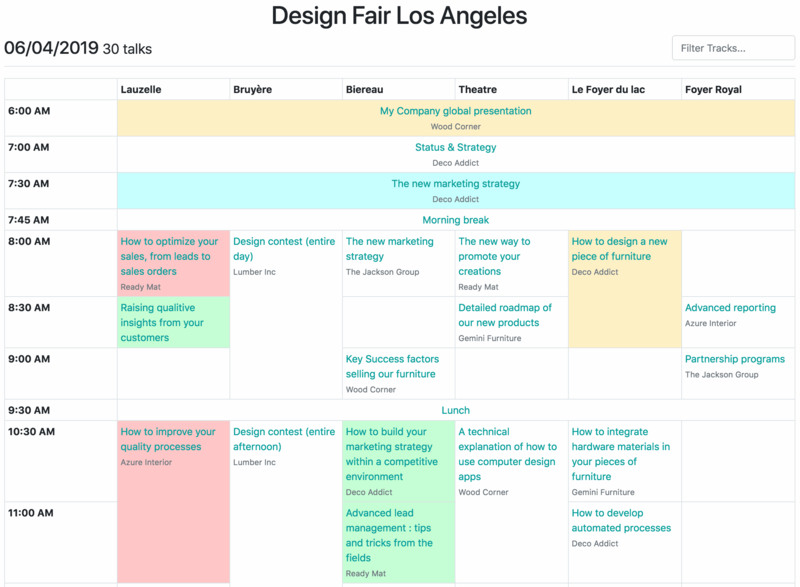 Capture leads through your events pages and shorten your sales cycle. Design efficient email campaigns that increase conversions and track your success.